Welcome to the latest newsletter from the Together We’re Better health and care partnership. The start of 2019 has marked a noticeable change of pace, with the build-up to our public, workforce and stakeholder involvement planned for this Spring still on track. The big news this month has been the long-awaited publication of the NHS Long Term Plan, which sets out a series of challenging, but realistic ambitions for the health and care system over the next 10 years. Encouragingly, much of what is being proposed in the national plan aligns with the work that is being taken forward by our programmes. This is positive as it means we can maintain our current focus and in some areas push even harder. This alignment is most notable through our plans to become a single, integrated health and care system made up of 23 localities that cover the entire population of Staffordshire and Stoke-on-Trent. These localities (primary care networks) will be supported by Integrated Care Teams, wherein primary, community and mental health services work in tandem with social care professionals and the voluntary and independent sector to enable a coordinated approach to improving the health of the communities they serve. The progress made within our four early adopter Integrated Care Teams in Meir, Leek Moorlands, Lichfield and Stafford has been positive and we will be rolling this out across the rest of the patch during 2019. It is important, though that we do not think that purely by creating Integrated Care Teams we have solved the problem. These will be the bed rock of our system along with sustainable General Practice services, but will require ongoing support and input if they are to genuinely change the way care is delivered locally. Creating the team is one important aspect, but it is not the end point. You can read more about our plans for public, staff and stakeholder involvement below, as well as on our new look website, the address for which remains the same as before – www.twbstaffsandstoke.org.uk. The site will be regularly updated with the latest information about how people can make their voices heard and share their views. Finally, congratulations to our partners, especially frontline staff for the hugely positive report by the Care Quality Commission (CQC) on older peoples’ services in Stoke-on-Trent. It's particularly pleasing the CQC recognised there had been a “significant improvement” in how our partners work together and this is reflected in the fantastic progress made over the past 12 months; for which everyone involved deserves a great deal of credit and recognition. More importantly of course is the improvement in care that local people will have received as a result of these changes - this is what we all continually strive for. Identifying additional priorities that will deliver clinical and financial stability. We're raising awareness of the partnership and our plans for involvement over the coming months ahead of the conversations that are due to start in the spring. This will include holding a number of stakeholder events in March - we'll be sharing more details on these shortly. A workforce involvement toolkit is being developed to share with our partners that will be used to communicate with staff about Together We're Better and the involvement process. It will include a factsheet, digital posters, web banners, pull-up banners and comment cards, as well as a slide presentation and article for inclusion in bulletins. Partners will be holding roadshows in key buildings, e.g. hospitals/council buildings, launching in late February/early March, using the toolkit provided. We’re also showcasing each of our work programmes through our Twitter account @TWBstaffsstoke. One programme is being highlighted each week, with links to introductory videos and factsheets, created by the programmes themselves. You can find out more information about this and our involvement plans on our website www.twbstaffsandstoke.org.uk. 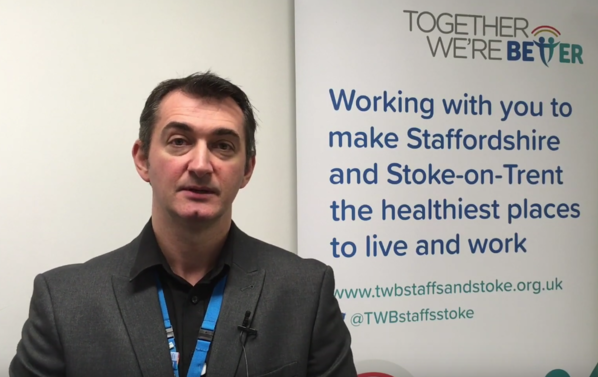 Steve Fawcett (pictured), Medical Director for North Staffordshire and Stoke-on-Trent Clinical Commissioning Groups (CCGs), talks about the public consultation currently being led by the CCGs on the future of local health services in Northern Staffordshire. 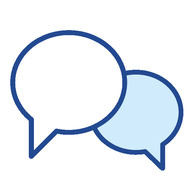 “Over the past few weeks, we’ve seen many people from across North Staffordshire and Stoke-on-Trent taking part in an open and honest discussion about the health and care services they want to see. The public consultation being led by the CCGs is a fantastic opportunity to talk about the challenges we face in the north of the county and the ways in which we can address them. How to ensure consultant-led outpatients clinics work more efficiently and, importantly, ensure consultants have more time with patients and less time travelling. I’ve been really pleased that so many have already got involved, whether by completing the consultation document available online or attending one of the public involvement workshops we’ve been holding across the area. The following workshops are being held in February and March, at which people can find out more about the consultation and why change is needed and join in the discussion. All events start at 7pm and finish at 9pm with doors opening at 6.30pm for registration. Places can be booked either by clicking on the ‘book here’ links below, by calling 01782 298002 or emailing consultation.northstaffsstoke@nhs.net. This is all about how these services can be delivered in a more sustainable and effective way for people living in Northern Staffordshire. We believe the proposals we are consulting on would help to better meet peoples’ needs now and in the future. We hope that people continue to get involved and help us shape that future together. You can find out more via the dedicated website at www.healthservicesnorthstaffs.nhs.uk and the consultation closes on Sunday 17 March 2019." We were really pleased to welcome almost 30 people for the latest session of the Together We're Better Local Representatives group. The group, formerly known as Feedback Ambassadors, met to discuss both the Communications and Engagement Strategy and Equality Impact Assessment for our upcoming public and workforce involvement. Members contributed valuable feedback that will help in the continued development of both documents. The session also included a discussion that saw members mapping the areas of Staffordshire and Stoke-on-Trent where they have links to independent/community groups and organisations. Local Representatives come from all walks of life, including existing Patient Participation Groups, Healthwatch members, local community advocates and school governors. They are passionate about delivering real change and improving health and care services for local people. They will be a vital conduit between local groups/organisations and communities and Together We’re Better – feeding back on the views, comments and ideas they receive. For more information about Local Representatives, including how to get involved, please visit www.twbstaffsandstoke.org.uk/get-involved/local-representatives. 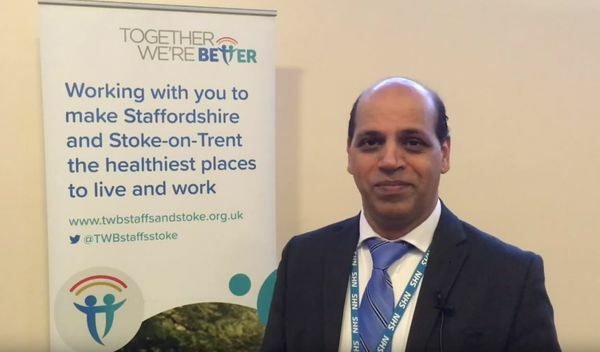 Health and social care system in Stoke-on-Trent praised for "significant improvement"
The Care Quality Commission (CQC) has reported a “significant improvement” in how public sector organisations work together to provide services for older people who need care in Stoke-on-Trent. The CQC revisited the city following an initial inspection in September 2017 to look at how well older people – and specifically those over 65 – can move through the health and social care system. Click on the link below for more information, including a link to the full report. 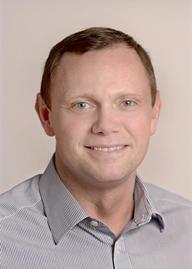 Peter Axon (pictured) has been appointed as the new Chief Executive Officer at North Staffordshire Combined Healthcare NHS Trust. 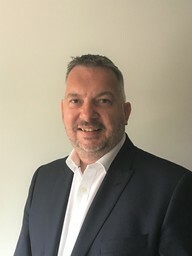 He has a wealth of senior experience in finance, strategy, contracting, information and performance and will be joining the trust, expected on 1 April, from his role as Chief Finance Officer/Deputy Chief Executive at Birmingham Community Healthcare NHS Foundation Trust. Peter takes over from Caroline Donovan, who will be leaving her role to take up a new opportunity as Chief Executive at Lancashire Care Foundation NHS Trust. 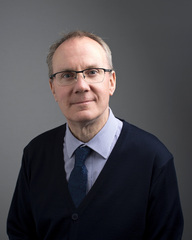 Simon Whitehouse, Together We're Better Director, said: "Congratulations to Peter; I very much look forward to working closely with him in the coming months as we continue on our journey to transform the local health and care system. I would also like to take this opportunity to thank Caroline for the commitment she has shown to the partnership; having led on three separate work programmes. I very much wish her all the very best in her next role in Lancashire - our loss is their gain." Partners continue to work closely together to ensure that the Staffordshire and Stoke-on-Trent health and care system can manage increased demand for urgent and emergency care services over winter. In support of this, national funding totalling £8.8m was announced in Autumn 2018 to fund two new modular wards at University Hospitals of North Midlands NHS Trust (UHNM). The first of these wards (32 beds) opened on 24 January, with the second ward scheduled to open in mid-February. A separate pilot project involving West Midlands Ambulance Service, UHNM and Midlands Partnership NHS Foundation Trust went live on 28 January. For those patients identified by WMAS crews as not needing to go to A&E, but still requiring urgent care paramedics have been calling a dedicated phone line to determine whether alternative services are available. Meanwhile, a base Clinical Assessment Service went live in Staffordshire and Stoke-on-Trent in December, meaning that patients calling 111 between 10am-6pm Monday to Friday will be able to access clinical support over the telephone if it is clinically required. 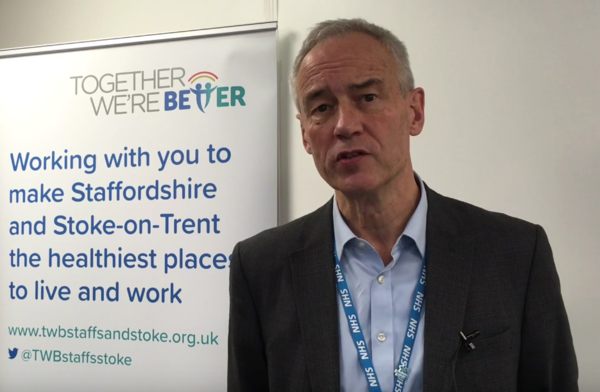 Plans for Staffordshire and Stoke-on-Trent to become a single, integrated health and care system made up of 23 localities will be gathering pace in 2019. During 2018, partners launched four early adopter Integrated Care Teams (ICTs) in Meir, Leek Moorlands, Lichfield and Stafford. These teams bring together general practice, community and mental health services, social care and the voluntary and independent sector to provide a coordinated approach to improving the health of their local communities. ICTs are due to be introduced across the remaining localities in Staffordshire and Stoke-on-Trent by April 2019 - as part of this an ICT Delivery Group has been set up to oversee the roll out and delivery of this hugely important piece of work. General Practice Nurses (GPNs) and Health Care Assistants (HCAs) from 24 practices across Staffordshire and Stoke-on-Trent are championing Technology Enabled Care. These are technologies such as telehealth, telecare, telemedicine, tele-coaching and self-care apps that have the potential to transform the way people engage in and control their own healthcare. In addition, the work of our partners on the recruitment of GPs is also progressing, with 26 practices now having confirmed an interest in taking on an international GP. Click on the image below to watch a short video featuring Steve Grange, Programme Director, introducing EPCC. We were delighted that social prescribing was the focus of the latest Together We’re Better Staffordshire and Stoke-on-Trent leaders’ event. The development of social prescribing locally is a major priority for both the Prevention programme and the wider partnership. Social prescribing is a way in which people with care and support needs, perhaps due to long term health conditions or simply being older or less active, can gain access to a variety of support services, often those provided by the voluntary and community sector. At the event, our Senior Responsible Officer Paul Edmondson-Jones gave an introduction about the work of the Social Prescribing Advisory Group within the programme. Paul then handed over to VAST Chief Executive Andrew Thompson and Garry Jones, Chief Executive for Support Staffordshire, who provided a fuller understanding of the work that is taking place in Staffordshire and Stoke-on-Trent, the gaps that exist and how we can work in a more joined up way. The Mental Health programme has been very successful, with a number of national funding announcements – most recently the news that we have been awarded approximately £2m to enable the formation of a ‘trailblazer’ project in North Staffordshire and Stoke-on-Trent to establish child and adolescent mental health service (CAMHS) support in schools. More than 30 new posts will be created to form four brand new teams of children's mental health specialists and trainees to work in schools across the area, while there will also be extra funding and additional staff for Stoke-on-Trent and North Staffordshire community mental health teams in order to cut children's mental health waiting times to four weeks from referral to treatment. The ‘trailblazer’ funding came hot on the heels of the £1.6m announced by the Government to develop a new crisis care centre and detoxification suite at Harplands Hospital in Stoke-on-Trent, as well as four new crisis cafes located across the county. From December, the mental health psychiatric liaison service at Royal Stoke University Hospital formally became a 24-hour all-age service to ensure timely delivery of mental health assessments to children as well as adults and older people - making it one of very few nationally to provide such a service and ensures the mental health input into Royal Stoke remains comprehensive and responsive. Click on the image below to watch a short video featuring Joint Clinical Leads Dr Waheed Abbasi and Dr Abid Khan talking about the programme. We’re delighted to announce that Dr Paddy Hannigan has been appointed as the new Senior Responsible Officer (SRO) for the programme. Paddy, who also serves as Chair of Stafford and Surrounds Clinical Commissioning Group (CCG), takes over from Caroline Donovan. Caroline will be leaving her role as Chief Executive of North Staffordshire Combined Healthcare NHS Trust to take up a new opportunity as Chief Executive at Lancashire Care Foundation NHS Trust. We thank Caroline for her guidance and support and wish her every success in her new role. The programme is moving ahead with its plans to launch a digital shared care record across Staffordshire and Stoke-on-Trent, which will link NHS and local government organisations together. We’re currently in the procurement phase of this project, with the evaluation of responses due to get underway in late February. Click on the image below to watch a short video featuring Paddy introducing the Digital programme.